The UK offers some of the best motorbike rides, providing a rich variety of routes for motorcyclists. From the peaks of the Brecon Beacons to the wilderness of Scotland’s highlands and the dramatic scenery of Exmoor, UK landscapes are sure to take your breath away. Of course, for the biker it’s as much about the roads as it is the scenery. 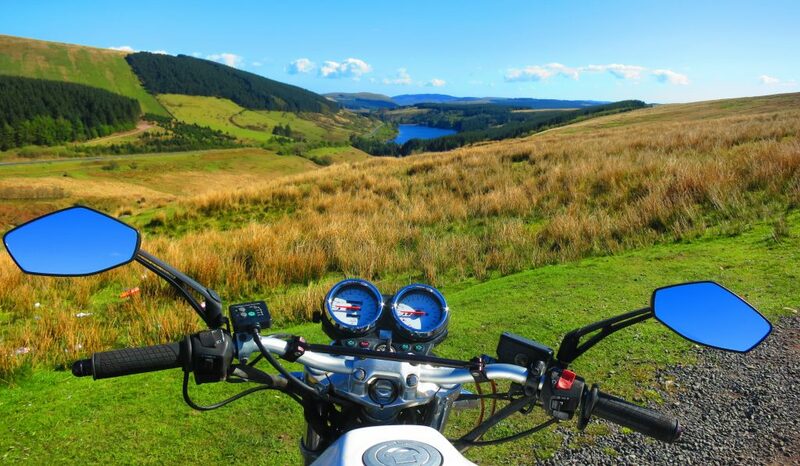 You want a road that offers a good riding experience as well as a good view – and here are four of the best motorbike rides in the UK. Located in Kent (the garden of England), the winding A20 stretches between Ashford and Folkestone to provide you with a memorable journey through some of the county’s picturesque villages. Join the A20 at the Ashford roundabout and run parallel to the M20 for a stretch to enjoy this road at its best. The A20 is governed by the national speed limit for most of its length so you can really open up those revs but be sure to slow down as you enter villages. This route may be a short one (only about 7 miles or so) but the A537 is reputedly one of the country’s most dangerous roads and there is a 50mph speed limit for riders to enjoy. A word of warning: snow can often close the road in winter even when at lower levels. Enjoy the scenery of this trip in the Peak District and enjoy some of the treasures of Buxton before setting out on the road – we recommend Devonshire Dome and Poole’s Cavern. Some people claim that this is the best road for bikers, not just in Scotland but in the UK. Start on the A9 in Inverness and head to Tore where you pick up the A935 to begin your journey. Many seasoned bikers recommend the breakfast rolls at the petrol station just before you reach Garve after which follows a climb through the beautiful Loch Glascarnoch that will take your breath away. Once passed the Loch, the road opens out with some wide sweeping turns. Once again, this is a road that has an army of admirers. It is somewhat in the wilderness so fill up with petrol before setting out and perhaps pack a sandwich or two. For a little variety, you could turn off onto the A543 and visit the village of Pentrefoelas and on further to Denbigh – both worth a visit.